Dr. Nho's practice is focused on sports medicine and arthroscopic treatment of the Hip, Shoulder and Knee. He treats both surgical and non-surgical treatments for the hip, shoulder, and knee. His specialties include hip arthroscopy, open and endoscopic repair of hamstring and abductor tears, shoulder arthroscopy, and arthroscopic and reconstructive surgery of the knee. In addition to a busy clinical practice at Midwest Orthopaedics at Rush, he is an Assistant Professor and Section Head of Young Adult Hip Surgery in the Department of Orthopedic Surgery at Rush University Medical Center. He is the Assistant Program Director for the Division of Sports Medicine and trains orthopedic surgery residents and fellows. 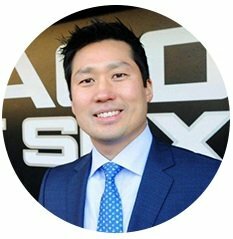 He serves as team physician for the Chicago White Sox, Chicago Bulls, Chicago Fire, Chicago Steel, DePaul University, and Roosevelt University. Dr. Nho is an active member of American Orthopaedic Society for Sports Medicine, Arthroscopy Association of North America, and International Society for Hip Arthroscopy, and he is frequently invited to speak at national and international conferences. He has published over 200 articles, and the authoritative textbook in young adult hip disease - Hip Arthroscopy and Hip Preservation Surgery. Dr. Nho is also actively involved in basic science, translational, and clinical research. He is head of the Hip Study Group which is a multidisciplinary group of physicians, scientists, and physical therapists. Many of the research studies and clinical trials have led to advancements in the clinical care of patients allowing our patients to receive the most innovative and up-to-date treatment.